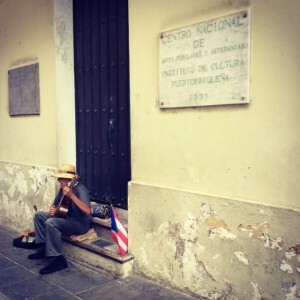 Old San Juan [Viejo San Juan], Puerto Rico is an easily accessible travel destination that will transport you to a time when Spain was a dominant power in the Western Hemisphere. Full of cobblestoned streets, colorful period buildings, and UNESCO sites, it lies very close to fantastic beaches where you can relax after a day of sightseeing and climbing forts. What’s more, old San Juan has some great coffee! 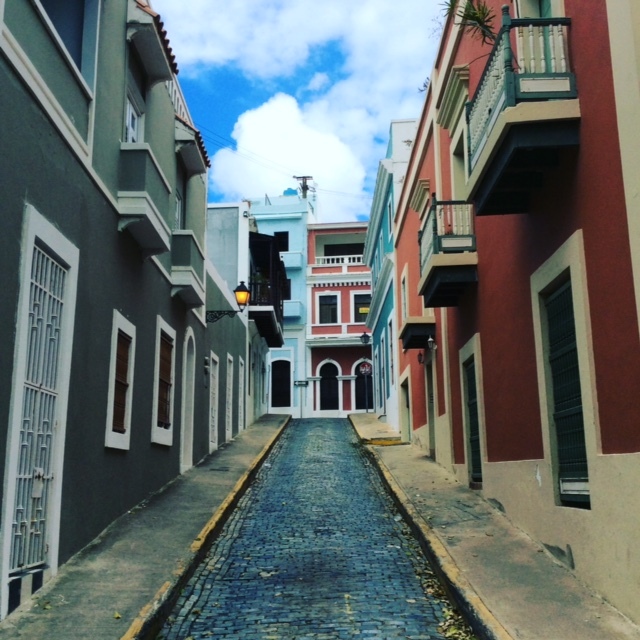 San Juan is the oldest settlement on the island and within Commonwealth of Puerto Rico, a United States territory, and the oldest city under U.S. jurisdiction. 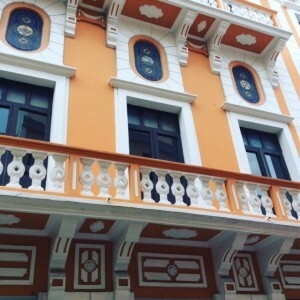 Old San Juan is the historic colonial section of the city of San Juan, a National Historic Landmark District. In 1508, Juan Ponce de León founded the original settlement and the Spanish government appointed him as the first governor of the island. A year later, the settlement was abandoned and moved to a site which was called at the time “Puerto Rico” [rich port]. In 1521, the name “San Juan” was added, and the newer settlement was given its formal name of “San Juan Bautista de Puerto Rico” in honor of John the Baptist and following the name given to the island by Christopher Columbus, “San Juan Bautista.” This naming convention became a bit confusing to many, and ultimately the names were switched when the town became known as San Juan and the island Puerto Rico. 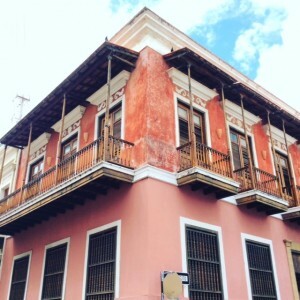 Over four hundred beautifully restored sixteenth and seventeenth century Spanish colonial buildings can be found as you walk among the narrow, blue cobblestone streets, and flat roofed brick and stone dwellings. 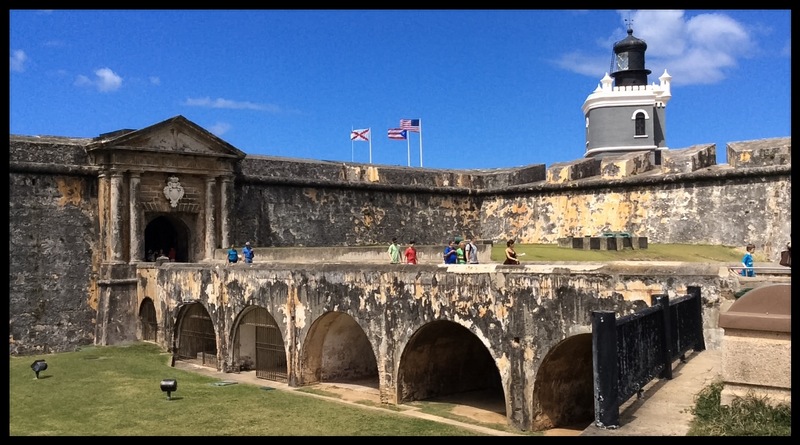 As you near Fort San Felipe del Morro you come upon Casa Blanca, a palace built on land which belonged to the family of Juan Ponce de León, of the “fountain of youth” legend. Old San Juan has several plazas, including Plaza del Quinto Centenario [Quincentennial Square], opened in October 12, 1992. 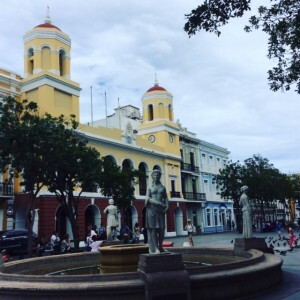 This plaza is the cornerstone of Puerto Rico’s commemoration of the 500th anniversary of Columbus’ [alleged] discovery of the “New World.” Close by can be found Plaza de San José, where one can find a bronze statue of Juan Ponce de León, made from the metal of cannons captured from the British. 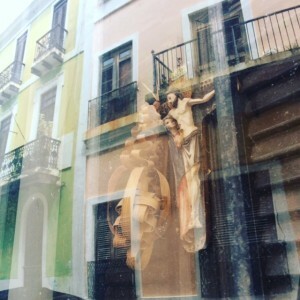 Plaza de Armas [Arms Square] is Old San Juan’s main square that boasts four statues representing the four seasons. Walking around one can also find the Plaza de Colón [Columbus Square], the eighteenth century Plazuela de la Rogativa [Plaza of Religious Procession] and the lively Plaza de Hostos. 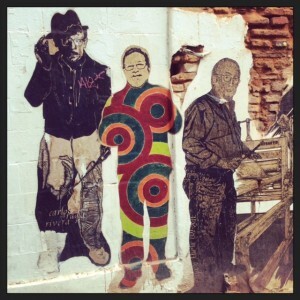 You must see Old San Juan by foot and I would recommend two days [after a nice breakfast and some beach time each day]. 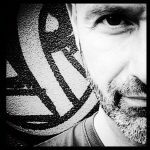 As you walk about, on the corner of Calle San Francisco and Calle O’Donnell can be found my favorite coffee shop in Old San Juan, Caficultura. You must try the coffee there. For the walking-adverse, Old San Juan provides a free trolley service to get you around the city. The trolley runs weekdays from 7:00 am until 6:00 pm, and weekends from 9:00 am until 7:00 pm. Most of the trolleys are wheelchair accessible. 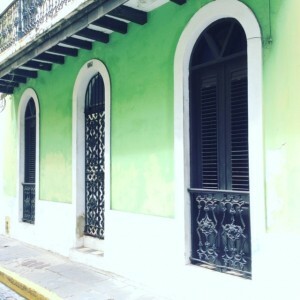 Keep your eye on flight deals, as from the mainland United States, San Juan makes for a nice travel option for a long weekend.